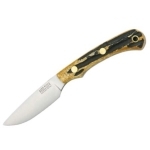 Bark River Knives is a family-owned business that focuses on producing hunting and outdoor knives. Its history dates back to 1987 when the owner of a small arms shop, Mike Stewart, began developing his own models of knives for different knife manufacturers. Later that year, Mike and his wife Lesley set up their own company Blackjack Knives where Mike used his designer skills and experience in the market. The Stewarts’ company quickly became widely known due to the high quality and great consumer performance of their products. 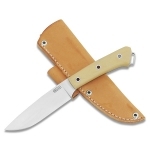 In 1997, the Stewarts sold Blackjack Knives and moved to Escabana, Michigan, where they founded Bark River Knives. In two months, the new company produced their first set of knives including such popular models as Fieldsman, Huntsman и Glen Eagle Axes, which have been in great demand up to now. Mike and Lesley’s children, Jacquelyn and Jim, are also involved into the business. Jim designs new knives and “makes some of the most treasured knives in the world”. Jacquelyn takes part in the production and distribution of hand finished knives and is in charge of selling the products. Mike Stewart studies traditions and history of knife craft of different nations. He manages to create not only collection knives but also robust cutting tools for hunting, tourism and surviving in any extreme conditions. 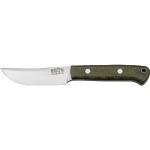 Bark River Knives focuses on manufacturing fixed blade knives. The assortment includes hunting, tourist, EDC and neck knives, tactical and survival knives, machete and karambits, and kitchen cutlery. The products are aimed for use by bushcrafters, outdoorsmen, hunters, hikers, and so on. 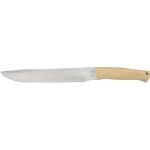 Bark River Knives makes blades mainly of A2 steel and also uses other types of steel: CPM3V, CPM-M4, 154CM, CPM154, S35VN, Sandvick 12C27, 13C26, 19C27. 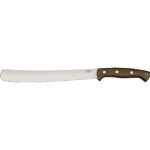 The handles are made of micarta, G-10, wood, horn, and other materials. 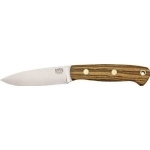 Built with care and precision, Bark River knives are truly examples of the art of knife making. 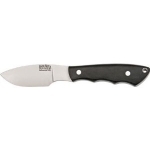 Below is a chart showing the best Bark River knives on the site as reviewed by multiple users. 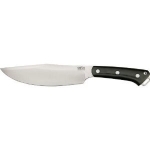 Keep in mind that there are many great Bark River knives out there, but if you can't decide on one after searching the site, choose one off this list and we are confident that you will be happy!